A few weeks ago, I was told of what was promised to be one of the best Mexican restaurants in Toronto. I was a little hesitant to go, because it happened to be located in the Distillery District, where I haven’t had the best experience with restaurants. During past visits to other restaurants in the area, I have found that the food wasn’t that great, the service was slow and unattentive, and prices were through the roof! With that being said, I was told this place was great and after my arm was twisted, we ended up going. As we approached the location, the first thing I noticed was the patio. It was big, it was beautiful, and it set the perfect atmosphere for a nice dinner. The patio was decorated with all sorts of lights, making it seem almost festive. Once we entered the restaurant, we were immediately greeted by a wonderful hostess, and taken to our reserved table inside the dining room, which was already set up and waiting for us. Within minutes, our server came over and introduced herself. She was extremely enthusiastic, cheery about having us, and constantly making suggestions and recommendations based on her personal favourite items and restaurant best sellers. With regards to the food, we ordered a variety of items to share – and everything was delicious! The tacos were delectable, and the guacamole was absolutely heavenly…my mouth still waters just thinking about it! When the bill came, I was delightfully surprised to note that it wasn’t outrageously expensive (like I was expecting). In fact, I was so impressed with the overall service and food that I personally spoke to the manager to tell him how enjoyable the evening was. It turns out it was only our server’s first week and the fact that she provided such amazing and attentive service spoke volumes about El Catrin’s ability to scope out good, hardworking people and train them well. Without a doubt, I would return for the amazing food and extremely hospitable service. 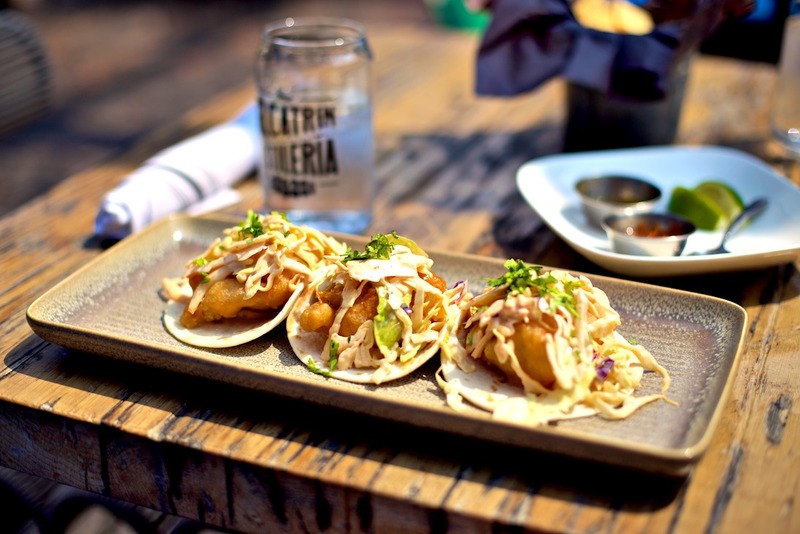 Whether after a walk in the Distillery District, on a warm summer night, or in the middle of the winter, El Catrin makes for a great dining experience!